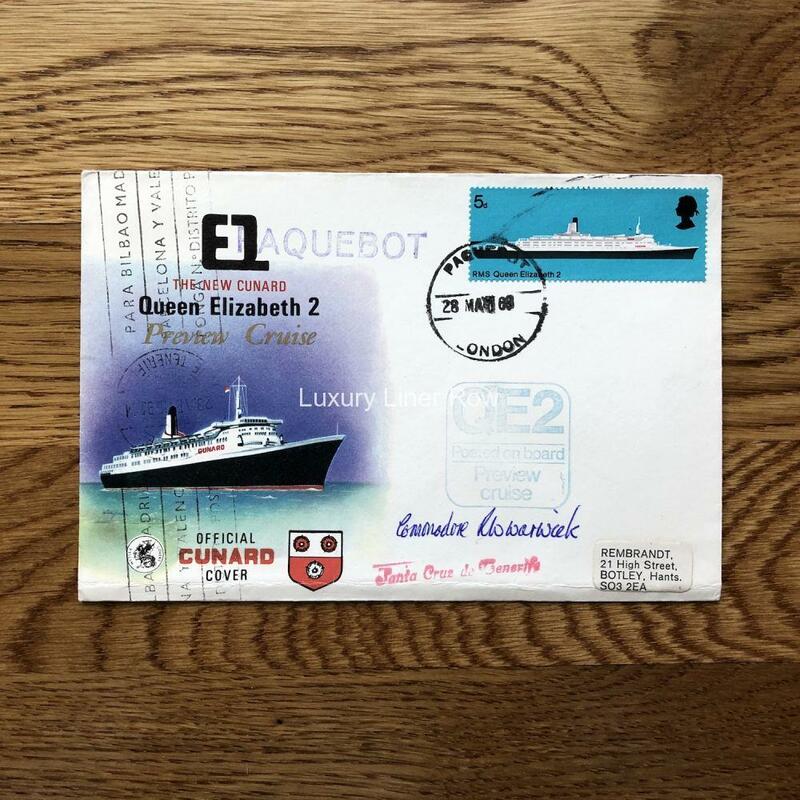 Postal cachet for the preview cruise of the new Queen Elizabeth 2. Posted on board and mailed at Tenerife on April 23, 1969. Signed by Commodore Ron Warwick.